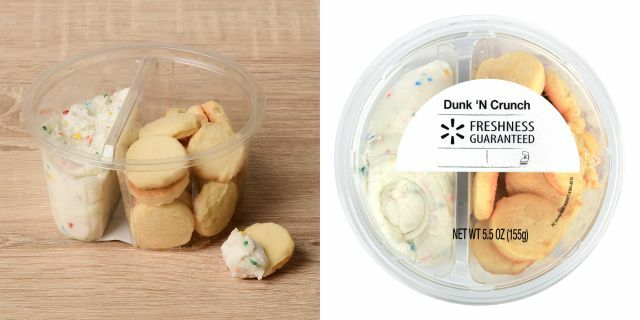 Dunkaroos were last seen on store shelves in the US back in 2012, so Walmart has taken it upon themselves to put out their own slightly fresher version of the frosting dip-able snacks in the bakery department. Consisting of shortbread cookies and icing with sprinkles for dipping, 5.5-oz packages of Dunk 'N Crunch can be found in the bakery section for $2.97. Up until this year, you could get your Dunkaroos fix up in Canada but it looks like Betty Crocker / General Mills has just discontinued them there are well.